Nose: Lots of rose and violet make this reminiscent of floral cream chocolates. Hints of strawberry, too. 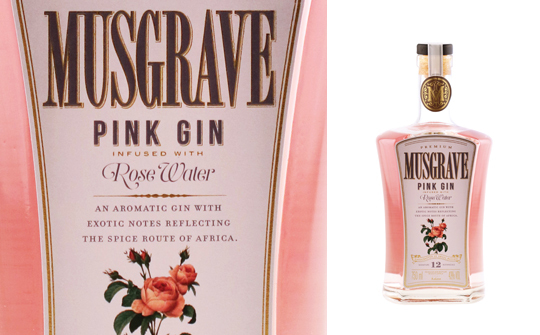 Palate: Vibrant, jammy rose notes upfront; sweet and perfumed, just like Turkish delight. Lemon and orange, before a lasting, zesty note of grapefruit. Finish: The rose notes remain on the finish for a good while, accompanied by a little resinous alcohol that warms the tongue. Comments: A perfumed and unusual gin that I suspect would work well in a Gin Alexander, but is light on juniper. Nose: Heavily perfumed, sweet and delicate – reminiscent of rose gardens in full bloom. Fiery spices follow with a faint hint of juniper. Palate: Initially very spicy and full-bodied, then floral and slightly fruity flavours develop. Finish: Just the floral and sweet fruit flavours remain on the palate, and they stay. Comments: A pretty pink, but none of the floral notes will disappear. Such a delicate gin could be sipped over ice or used to transform a martini. Add a strawberry or rose petals to garnish.